(F.) "Batzy Owliver" - SOLD - Thank you! 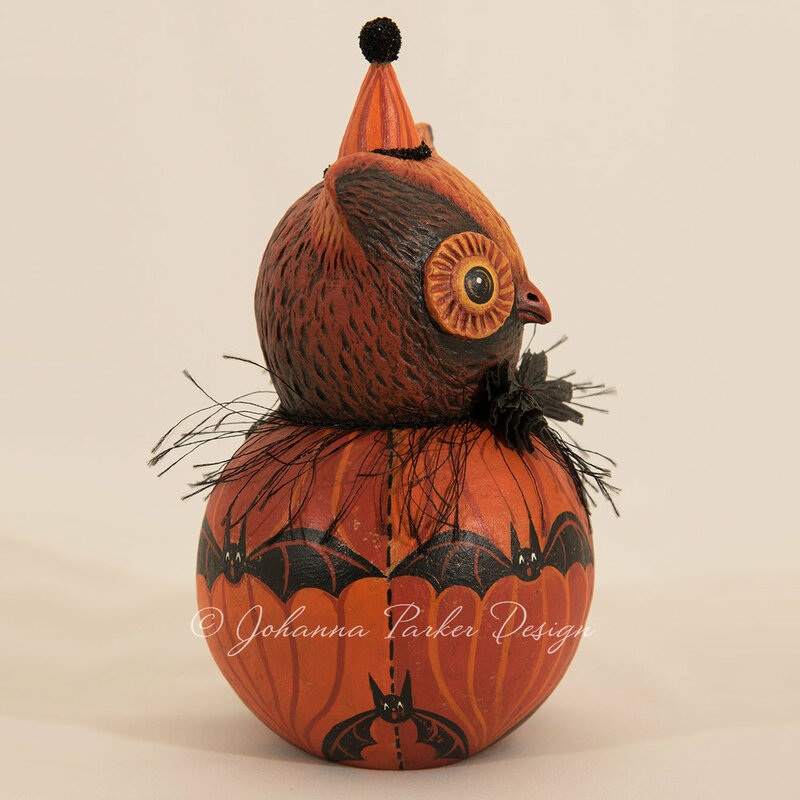 Batzy Owliver is a sculpted and hand painted papier mache owl ball character. A feathered, textural head and large round dimensional eyes promise to captivate. 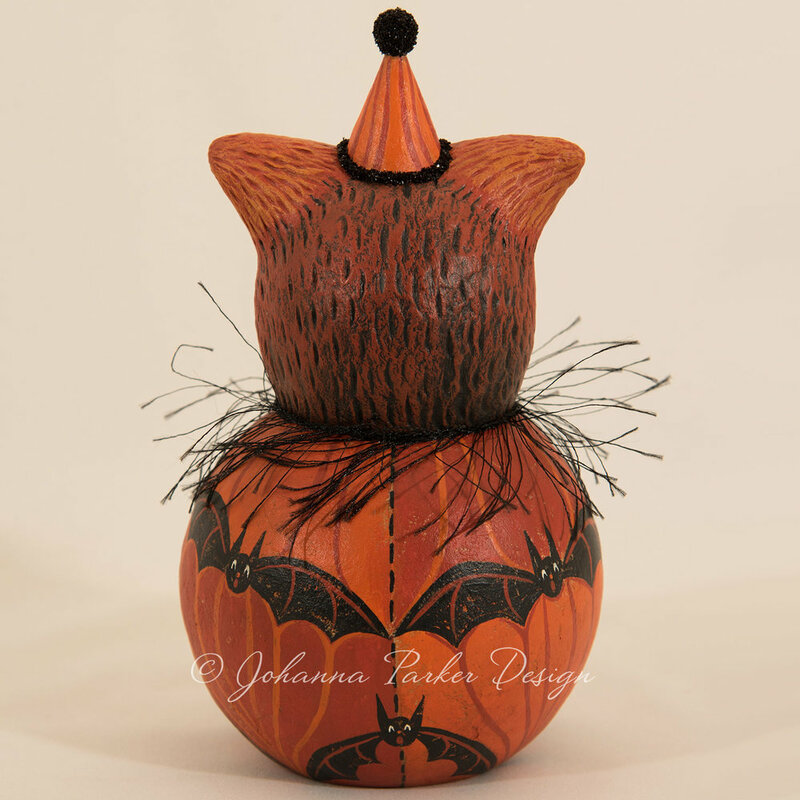 A series of hand-painted bats and flowing lines surround his ball body. A black neck wisp and hand-stitched vintage crepe paper bow tie add the finishing touch. Black glass glitter trims his hat for a pinch of party sparkle. A Johanna Parker Design original! To purchase, please send an EMAIL and include Letter F in your title. Thank you!